Dogs are a gift to humankind. With the majority of families across the world owning a dog or two, it’s surprising that only a few people know how to understand their canine friends. These pets might not be able to speak as we do, but the sounds they make and their body language goes beyond words. Understanding them can be easy! I want to play, human! The usual gesture that dogs make when they want to play is called a “play bow.” It is a signal that they want other dogs or their owners to play with them. When they stretch their front legs and lean down on their elbows with their hiney up in the air, it’s time to throw that ball! It would be tough to make a dog sad. Canines usually have this optimistic and cheerful disposition, but when they are, they howl. This gesture means that they are lonely and should be given ample attention right away. It’s pretty obvious when a dog is scared; their ears are dropped and pulled back. They also would tuck their tail between their legs and open their eyes wider. Some dogs growl when they are scared, so try to not doing anything to aggravate them because it can be dangerous. Huh? 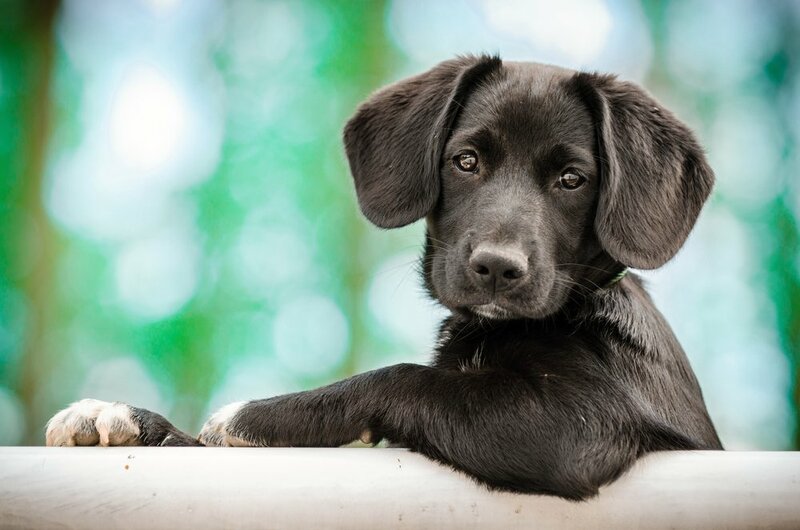 When dogs are confused, they tilt their head as an effort to understand a situation better. It’s arguably the cutest dog mannerism there is! When you do something to your dog, and they close their eyes and stay still, keep doing that because it means you are making them feel happy and relaxed. It usually happens when you scratch behind their ears or give them a tummy rub. Dogs have different weak spots, so try to know where as much as you can. When your dog suddenly raises its ears upwards, it’s listening and observing. It doesn’t apply to all dogs as some, like beagles and basset hounds, have long ears. Be cautious when you see your dog licking its lips, nose or when it yawns. Those are signs of anxiety and that they feel awkward and self-conscious. Make sure to give your dog lots of attention and gentle care. I’m the leader of the pack! When a dog mounts another, it means they are trying to establish dominance. It usually happens with alpha male dogs. Dogs have a remarkable sense of smell; they can detect where it’s coming from even if its a mile away. If you see them sniffing around for something, it means they are checking out their environment. Leave them be; they’ll be fine. Dogs love hanging out under cool spots. They tend to have good tolerance with the cold, but hot temperatures can be fatal to them. Our canine friends don’t have sweat glands, so they release it through painting, so when your dog’s tongue is out, it means that they feel hot. Fresh and clean water should always be available to avoid this. I The dwarf lantern is regarded as the smallest shark. It is only 7 inches long. Whole the longest shark is the whale shark that can grow up to 50 feet long. The whale shark also weigh about 40,000 pounds. II Generally, a mother shark can give birth to lots of shark at the same time. It can give birth to 48 pups in one litter. These pups are usually very little at first and will not be able to fend for themselves. III Every living creature emit little electrical signals as they move or breathe. The hammerhead shark can use electricity to catch its prey. These sharks pick up very small electrical impulses through hundreds of little holes in their faces. IV Nobody knows why sharks seems to attack men more than women despite the fact that these two gender spend time together in the ocean. Almost 90% of shark attacks have happened to men. V The basking shark usually carry its baby for two years in the belly. While other shark like the bonnet head is only pregnant for a few months. The elephant has a gestation period of 22 months and this is the only mammal with such. VI A lot of sharks are born alive. A pup can grow inside the mother in two ways. In some sharks, the embryo usually feed on the yolk that is attached to the bellies. Some shark species have an umbilical cord that helps connect the child to its mother’s blood supply.